The National Telecommunications Commission (NTC) ordered Caritas Health Shield, Inc. and Center for Global Best Practices to immediately stop sending spam messages to customers of Globe Telecom. The order is expected to provide respite to Globe consumers who constantly receive annoying spam messages. The order is stipulated in show-cause orders issued by NTC against Caritas and CGBP, relating to separate complaints filed by Globe Telecom against the two companies whose agents and employees are involved in sending unsolicited promotional text messages to Globe mobile customers. 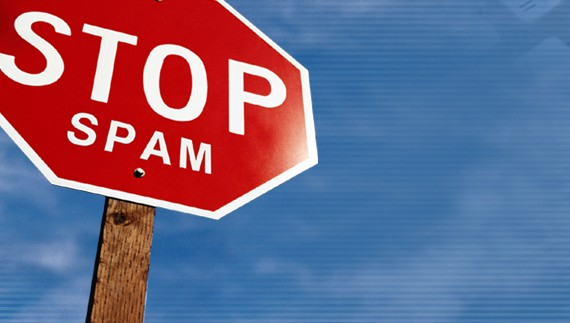 The legal action taken by the telecommunications provider against Caritas and CGBP is in line with the telco company’s intensified campaign to combat text spam, prompted by constant customer service complaints on the issue. Globe specifically asked the regulatory body to order Caritas, a health insurance company, and CGBP, which offers various training and seminar courses, the payment of appropriate fines and penalties for sending annoying text spam to Globe subscribers. Globe also asked the NTC to permanently bar Caritas and CGBP, its agents and employees from sending spam texts to Globe customers. The regulatory body also ordered the two companies to appear before the commission on July 15 and to explain in writing within 15 days from receipt of the order why it should not be administratively sanctioned for such violation. “The NTC directive should provide some breathing space for Globe customers who constantly receive annoying spam messages. Globe will continue to exercise all legal means possible to ease the burden inflicted on our customers by companies that employ text spamming as a marketing strategy. Such companies should be forewarned that similar complaints will be filed against them unless they unilaterally stop sending annoying spam messages to our customers,” Globe General Counsel Froilan Castelo said, as he expressed confidence that the case will be resolved in favor of the telecommunication provider. According to Castelo, Globe Telecom is now preparing the filing of separate complaints against two local business organizations whose agents and employees have been identified to be the source of text spams. “We will try to get to them in the hope that we can convince them to stop sending text spams to our customers. We hope our efforts to reach out to them would result in the resolution of our concern and they can compel their agents and employees to stop sending text spams to our customers,” Castelo said. He, however, did not disclose the identity of the two companies pending formal filing of charges against them. Castelo emphasized, however, that while senders of such messages do not directly identify their respective companies, such practice is still considered text spamming and the organizations they represent should be held liable. Early this month, Globe made available on a company web page a channel through which its customers can report text spams and text scams alike. Customers simply have to go to http://www.globe.com.ph/stopspam and provide all the details required. Numbers that are reported to be source of text spams are first sent warnings and those that are persistent source of text spams are deactivated from the service.